anyone know how to get displacement map from zbrush3 into blender 2.44 without artifact?? notice the pixelated effect?? this is not something i expect. other than that, everything works fine. I just sbriefly google the web and seems like it is not possible when is from zbrush. anyone have any input?? thanks! I think there was a discussion like this before and I believe it’s the image format you saved it in. 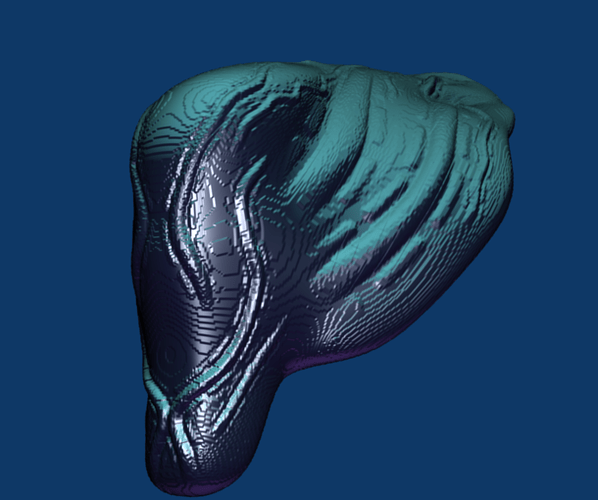 I don’t know what you CAN save displacement maps in, but I think you have to save them as a floating point image. Generally the pixelated effects is caused by an 8 bits image applied to a very dense mesh. 8 bits are not enough. Blackboe is right, try to render the displacement map in 16 or 32 bits. If Blender does not read the rendered image, try to change its format in cinepaint or photoshop.